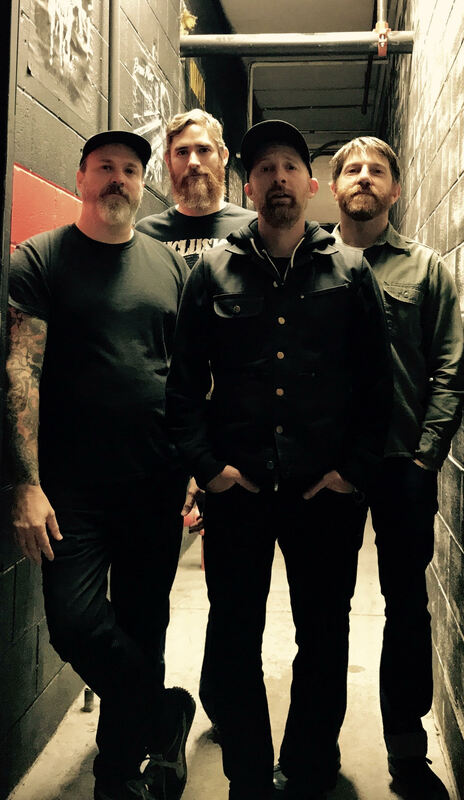 Boston heavy-hitters, WORMWOOD unleash the first track from their cosmic, dark and doomy new album, ‘Mooncurse’ today via CVLT Nation. On October 20th, Boston’s WORMWOOD will unleash their highly anticipated first full length album, Mooncurse via Translation Loss Records. Mooncurse is unapologetic with thick-as-hell, abysmal riffs and crushing bitterness. Moody, savage and sludged-out guitars ebb and flow with distortion, pummeling with relentless waves while dark, ritualistic rhythms take hold and lead you in and out of darkness. WORMWOOD embraces and illuminates with calculated and cathartic sonic despair and finds light in all the darkest places of their wounds. WORMWOOD recorded Mooncurse with the help of Alec Rodriguez at New Alliance East in Cambridge, MA. Rodriguez was able to capture the thick and powerful atmosphere the band was going for. “I’d be tossing out an idea and before the sentence was finished he’d sometimes say, “like this?” and play back what I was talking about. He also has a mini, portable studio that he would bring to our rehearsal room to bang out quick overdubs or a vocal session, so that was really easy and convenient. He was very patient with us too which was great because there were definitely a few moments where he could’ve just said “I’m done for today.” But overall it was pretty smooth and he’s super fun to work with”, recalls Chris Pupecki. Pre-order for WORMWOOD, Mooncurse is available now via Translation Loss Records and comes in two vinyl variants. “Metallic Gold” which is limited to 300 copies and a mail-order exclusive “Oxblood and Swamp Green Merge w/ Gold, Orange and Bone White Splatter”. T-shirt LP/CD packages are available for a limited time. The Sludgelord stream, “The Undesirables”.